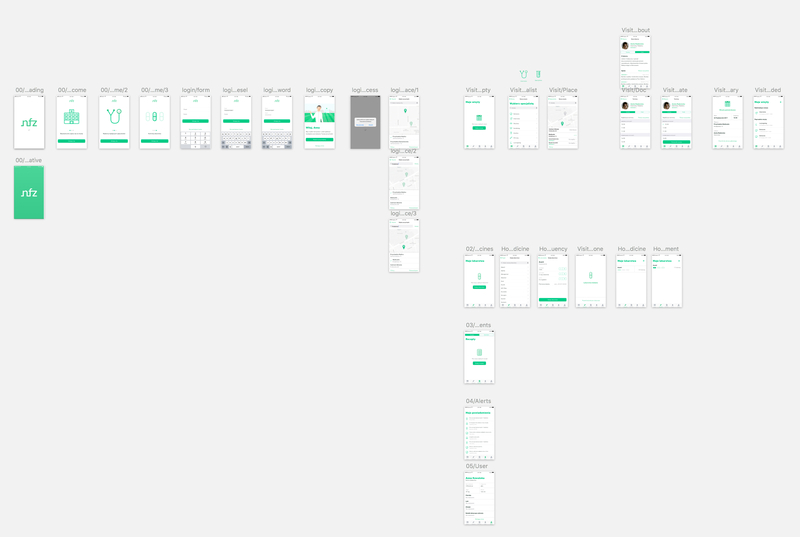 This is a concept design for a mobile medical app. The idea for this concept came from the real life. 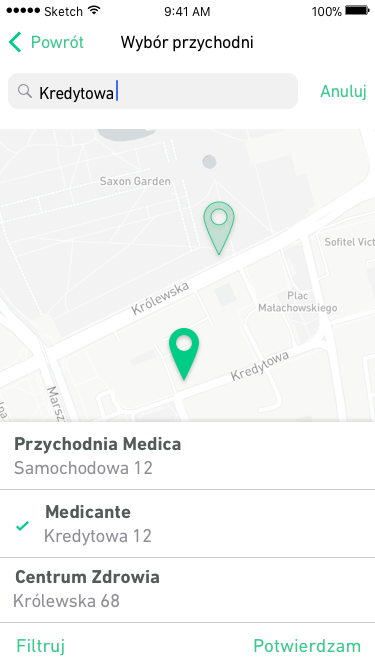 In Poland it’s really tedious to register to public health doctor – you often have to call very early in the morning or visit the clinic yourself. The registration is just the tip of the iceberg – an app like this could provide many quality of life changes to the users. For example you could get recipe and dosing instructions straight from your doctor (he’s side of app, web app most likely) – he could also see your dosing progress if you ever visit him again. 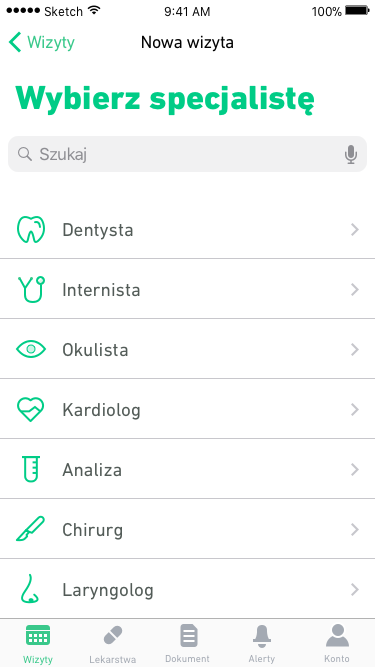 The app could remind user of dosing the medicine. I’ve also have taken shot on the polish medical health institution’s visual identity key points. In real life scenario you obviously need to do lots of research to validate the idea, but I imagine it as being calm, friendly and possibly the least formal – just because the institution is run by government it doesn’t have to be too formal – and in this case the opposite – you want the interaction between “user” and the institution to be as human as possible. I’ve reflected this idea in visual style – green, calm color mixed with rounded shapes and icons, with bold, legible and casual typeface (DIN Next LT Pro if anyone wonders).